The 9650C IP deskphone is for receptionists and contact center agents - anyone who manages a large volume of calls. It delivers advanced capabilities like built-in button functions for one-touch access to bridges and feature keys. Supports a 1/4 VGA color screen. Specifically made for navigator telephone users that answer many incoming calls, transfer callers, and monitor bridges appearances throughout the day. Supports built-in button module functionality to provide simple one-touch access to bridged appearances, speed dials, and feature keys - 8 physical buttons with shift capability to 16. Compatible with IP Office R6.0 higher only on IP500 and IP500 V2 control units. H.323 version supported by Avaya Communication Manager R3.0 or later. 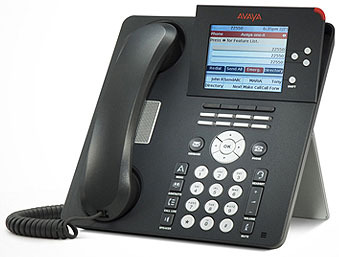 SIP version supported by Avaya Communication R4.0 or later.